The law firm of Pulgini & Norton consists of workers’ compensation attorneys who have done substantial work representing injured individuals in the Boston area. We have over 50 years of combined experience assisting workers who suffered accidents or illnesses at their jobs. We can go over the circumstances that led to your harm, discuss your possible right to workers’ compensation benefits, and help you seek the money you need for your injuries. If you have been hurt at work, you may qualify for workers’ compensation benefits. Massachusetts employers must carry this type of insurance, which covers the medical costs of any workplace injuries or illnesses, lost compensation, and worker retraining in some cases. Have a pre-existing medical condition that is worsened by the workplace environment. The injury or illness must put you out of work for at least five days. If you are eligible for workers’ compensation, your benefits will vary based on the type of disability you have. If you have a serious work-related injury or illness, you may qualify for permanent total disability benefits. This is when an injury leaves you incapable of performing any type of work, including the job that you held when you were hurt. This differs from partial disability, in which you are still able to work despite your injury, and temporary total disability, where you are only out of the workforce for a finite period of time. Permanent total disability benefits have medical and wage components. 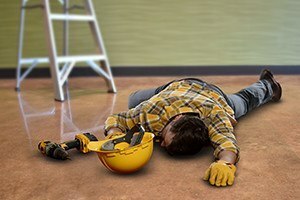 Workers’ compensation will cover the cost of what is considered adequate and reasonable medical care for your injury. You will also be reimbursed for prescriptions and any travel expenses for your medical appointments. Your wage benefits will be two-thirds of the weekly wage you earned, on average, in the 52 weeks before your injury. The state, however, sets both a minimum and a maximum amount of wage benefits you can receive. This amount changes every October. You can receive a minimum of 20 percent of the state’s average weekly wage, or 66.7 percent of your average weekly wage, up to the maximum allowed under the state’s rules. You can receive benefits for the duration of your disability. Since your disability is permanent, you may also receive yearly adjustments for the cost of living. In Massachusetts, once you have received permanent total disability benefits for at least two years, you may have your benefits recalculated annually and adjusted for increases in the cost of living. You may have an injury or illness that was initially considered a temporary total disability but has now become permanent. Temporary total disability benefits last for three years, but you do not have to exhaust these benefits to seek permanent total disability benefits. You can file for permanent total disability benefits once your condition is deemed permanent. Massachusetts sets a time limit on when you can file a claim for workers’ compensation. You have four years from the date you were hurt, or from the date on which you realized there was a causal link between your work and the injury or illness, to file a claim. Most workers take action shortly after the harm occurs. When there is an illness, or an aggravation of a pre-existing condition, it may take longer to recognize the connection between the condition and your job. Once you realize it, however, we can help you act quickly to protect your rights. At Pulgini & Norton, we provide diligent representation to workers in the Boston area who were hurt at their jobs. Our work injury lawyers have advised and represented individuals in workers’ compensation claims for decades. We understand the filing and appeals process and the intricate nature of Massachusetts law in this area. We can discuss the viability of your claim, your rights, and how we can help you seek the benefits you need. Call our office today at 781-843-2200, or contact us using our online form to arrange a consultation. We serve clients throughout Waltham, Weymouth, and Braintree, among other Massachusetts communities.